Chris Stapleton is so close to welcoming another member to his house band! 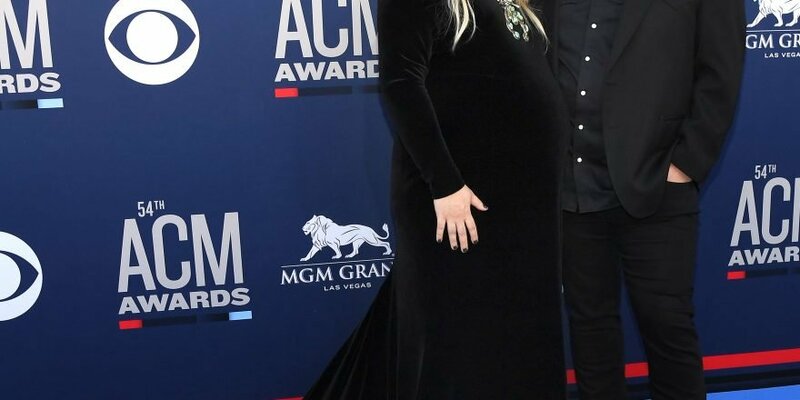 The “Broken Halos” singer graced the red carpet Sunday evening with his pregnant wife, Morgane, at the 2019 ACM Awards in Las Vegas, wearing a simple dark-blue suit, boots and his signature cowboy hat. Fifth-time mom-to-be Morgane, meanwhile, was glowing as she showed off her baby bump in a long-sleeved black velvet gown with a stunning train, letting her blonde hair hang in loose waves over her shoulders. Stapleton, 40, co-leads the pack of nominees at the ceremony alongside Dan + Shay with an impressive six nods, including video of the year, male artist of the year, album of the year and entertainer of the year. Just seven months after the couple welcomed twin boys, the father of four announced in November that he and his wife, 36, are expecting their fifth child. “It’s gonna be a lot tonight,” she joked.